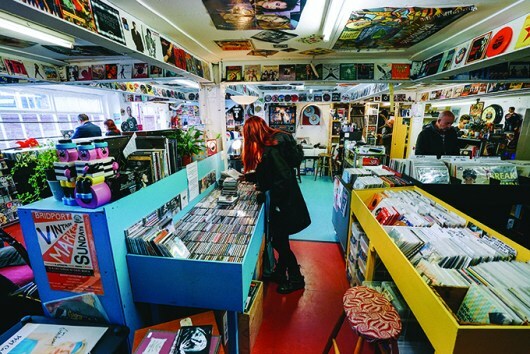 Situated on a trading estate 15 minutes from Newcastle city centre, Vinyl Guru is a truly independent record shop with everything a vinyl connoisseur could possibly want. 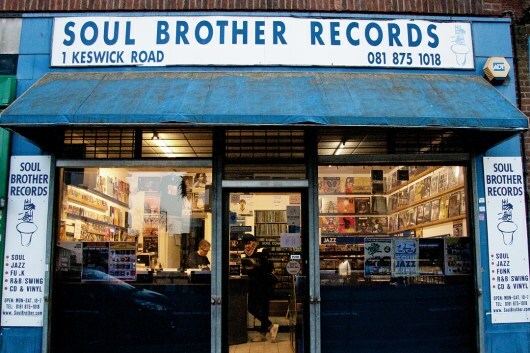 The leering, grinning Guru face above the front door draws you into an Aladdin’s cave of records, picture discs, album-art prints and accessories, from slip mats to high-end turntables. And, for that extra-special space in your record room, why not pick up a refurbished Rock-Ola jukebox from the late 1950s? The man with a plan who turned his dream of owning a record and accessories shop into reality is Chris Larkin, an amiable but sharp music fan originally from Hartlepool. He gained his record-shop experience in the mid-80s when vinyl ruled, CDs were a novelty and streaming was just a glint in a geek’s eye. Larkin loved every second of that experience, as he explains: “I went to university in York to do a media degree and used to hang out at Red Rhino, the city’s main indie record shop. When I left uni, I had a couple of interviews with the BBC, where I came close but didn’t get the jobs. As a stop-gap, I got a job at Our Price in London and stayed there from 1983 to 1986. Returning north to work in the media, Chris got back into music, eventually setting up an indie label called Audio Excess. “I was warned against starting a label by several people,” he recalls. “It was something I always fancied doing and had the time and the financial backing to do it from money I’d saved. This led me on to thinking about how I could make a business related to music. It wasn’t going to be a label, because it was pretty much impossible to make a living out of it. This was four or five years ago and it was becoming obvious there was starting to be an interest again in vinyl records. 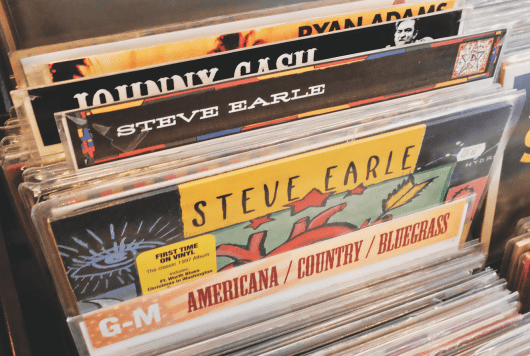 Amazon started selling vinyl, and if you bought a vinyl record, you could get a free download. It was also happening in shops, where you’d get a download code when you bought the vinyl. It was marrying the two things together with the advantages of the download and the physical product. Turntables in particular can be an expensive outlay for an independent operation, and it’s something the company have eased themselves into, as Chris relates: “We have a sample stock, one each of a few different turntables and we can sell from those, or order them in when we need to. We started off selling the cheaper turntables and then gradually went higher-end over time. The most expensive one we have in stock is £900, but we can order in anything! Vinyl Guru is very much a family concern. Chris’s sons, Rob and Dan, both work in the shop; Rob’s main role is to provide office support, handling the development and maintenance of the website and other online platforms, stock control and record valuations, along with running the mail-order operations.